Thanks to some BioWare tweeting, we now know that Dragon Age 3 is under development. BioWare has confirmed the development of Dragon Age 3, though in the worst way. While you'd hope BioWare would at least first announce the game through a press release or interview that provides some kind of information, instead we have a 140-character tweet to thank. BioWare's senior director of creative development Alistair McNally sent out a tweet hoping to recruit 3D artists to come work at BioWare Edmonton. A hashtag within the tweet kind of hints that the artist would be helping out on Dragon Age 3. "I'm looking for exceptional environment artists to join me at #BioWare Edmonton, Canada to work on #DragonAge3 #gamejobs #jobs #3D #artists," the tweet reads. Got the chops? Send over your portfolio. The notion of BioWare continuing work on its successful Dragon Age franchise is about as crazy as putting syrup on pancakes. What this tweet really does is start the flood of speculation as to where BioWare will take the Dragon Age storyline. 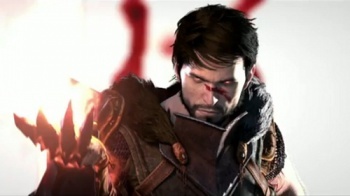 While connected to Dragon Age: Origins, Dragon Age 2 was not necessarily a direct sequel, following a new character named Hawke. For all we know, Dragon Age 3 could take players down another new path with a another new set of legendary folks doing legendary things. Dragon Age: Origins was released in November 2009, followed by expansion pack Dragon Age: Awakening in March 2010, with Dragon Age 2 dropping in March 2011. If BioWare sticks to that sort of release schedule for Dragon Age 3, we could see it hit shelves sometime in 2012. But first, how's abouts some screenshots or something?